PYONGYANG, North Korea — No modern airport terminal is complete without an ATM, and Pyongyang's now has two. But they don't work — because of new Chinese sanctions, according to bank employees — and it's not clear when they will. ATMs are an alien enough concept in North Korea that those in the capital's shiny new Sunan International Airport have a video screen near the top showing how they work and how to set up an account to use them. The explanatory video is in Korean, but the machines, which are meant primarily for Chinese businesspeople and tourists, don't give out cash in the North Korean currency. ATMs are not entirely new to the North. Years ago, the Ryugyong Commercial Bank installed one in a midrange tourist hotel in central Pyongyang frequented by Chinese. Another ATM was spotted at the airport last year, but it never appeared to be turned on. Since North Korea set off its second alleged nuclear test over a decade ago I have asked a simple question, where is the radiation signature identifying it as a nuclear blast. 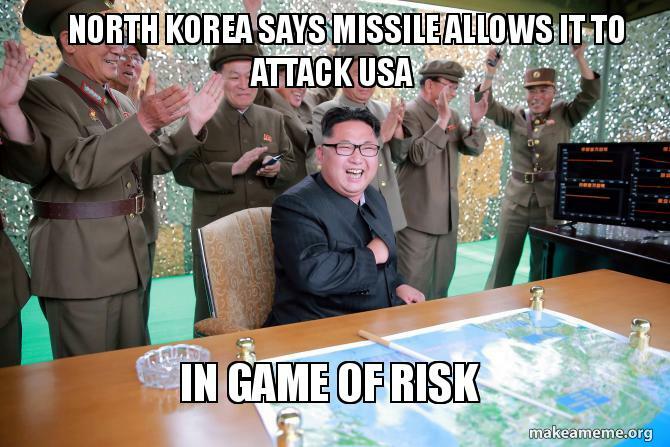 I first brought it up here , and have continued to post my thesis that North Korea is Nuke Free on my Facebook News page. has emitted any significant detectable radiation associated with a nuclear blast. Nuclear weapons are so powerful that when North Korea has tested them previously, it initially produced what appeared to be an "earthquake" measuring around magnitude 5.0.In September last year, a 5.3 magnitude tremor was recorded not far from North Korea's testing facility in Punggye-ri, in the country's mountainous north-east.That "earthquake" was quickly deemed to have been the rogue state's fifth nuclear test, another step towards its stated goal of building a nuclear weapon that could reach the US.It followed an earlier test in January, of what North Korea claimed was a "miniature hydrogen bomb". That exercise triggered what initially appeared to be a 5.1 magnitude earthquake. North Korea has conducted its recent nuclear tests by placing the nuclear device hundreds of metres below ground in a narrow hole and detonating it. While most of the radiation generated stays below ground, some can escape or is deliberately released. Two weeks after the September test, a monitoring station in Canada, more than 7000km downwind of North Korea's test site, detected elevated airborne levels of a radioactive isotope produced by nuclear fission. A tell-tail sign it's a nuclear explosion and not a natural earthquake is by observing the depth of the, "shake". Natural quakes originate from far under the ground. The epicenter of a nuclear bomb's localized quake is right at the surface. For comparison, a natural quake today near Fuji registered 5.8 magnitude at 285 miles deep. A September 9, 2016 nuclear bomb test in North Korea registered a 5.3 on the Richter scale at 0.0 km (0.0 miles) deep. Making WavesBut whether there’s fury behind the sound is still in question. 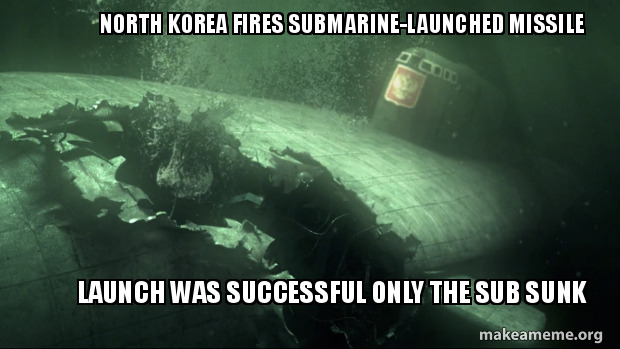 Whatever North Korea blew up, it did so underground. Which is why the specific characteristics of seismic energy are among the most important analytical factors in finding out exactly what made the earth move. “When you squeeze or stretch a rock, it propagates just like sound does,” says Terry Wallace, a Principal Associate Director for Global Security. Practically speaking, Wallace is a forensic seismologist, solving geopolitical mysteries by looking at signatures in the earth.Explosions, volcanic eruptions, and underground collapses predominantly compress rock, creating what’s called a P-wave. Earthquakes, which usually happen when two pieces of rock slip past each other, cause shearing and twisting that create S-waves. “Imagine you have a slinky. If you hit just one end of it, the slinky compresses, then releases in a wave from source to receiver,” says Wallace, describing a P-wave. “In an S-wave, you are actually going to shake the slinky from side to side.” Seismograph wiggles record shaking in three dimensions, which give telltale signs of what kind of waves come out. North Korea conducted yet another nuclear test on Sept. 8, and it was seemingly the country's most powerful Registering some 10 kilotons, according to reports from South Korea, the blast was apparently twice as powerful as the last test in January. Both are significant increases in explosive power from the first North Korean test in October 2006, which U.S. intelligence officials estimated to be around 1 kiloton. these are inconclusive because the testing for underground blasts is difficult and the technology is still being worked on. South Korean experts say they have not detected any radioactive isotopes from North Korea's nuclear test, hampering efforts to assess the device.Eight samples had been analysed but nothing found, the Nuclear Safety and Security Commission said. Finding certain isotopes - xenon gases in particular - would help experts determine whether a plutonium or uranium-based device was used. But a well-contained test could yield no radioactive isotopes, experts say. and yet we have no proof. North Korea later announced it had conducted its first successful test of a hydrogen bomb.H-bombs, also known as thermonuclear warheads, are massively more powerful than atomic bombs, using fusion - the merging of atoms - rather than fission to unleash enormous amounts of energy. a similar blast and quake reaction as a small kilo-tonne nuke. 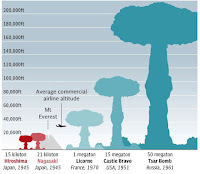 So far all the tests have been of very small bombs, between .5 KT and 1 KT similar to the nuke tests before the bombing of Hiroshima and Nagasaki by the Americans. you in fact saw one go off in Afghanistan last week it was called the Mother of All Bombs MOAB or GBU-GB43 George Bush 43, and it was an Ultra High Explosive; GBU. and why would they go to all the trouble to do that? Well for one its far easier to sell undetected and North Korea is a major illegal arms dealer who sells missiles, and explosive ordinances for them. 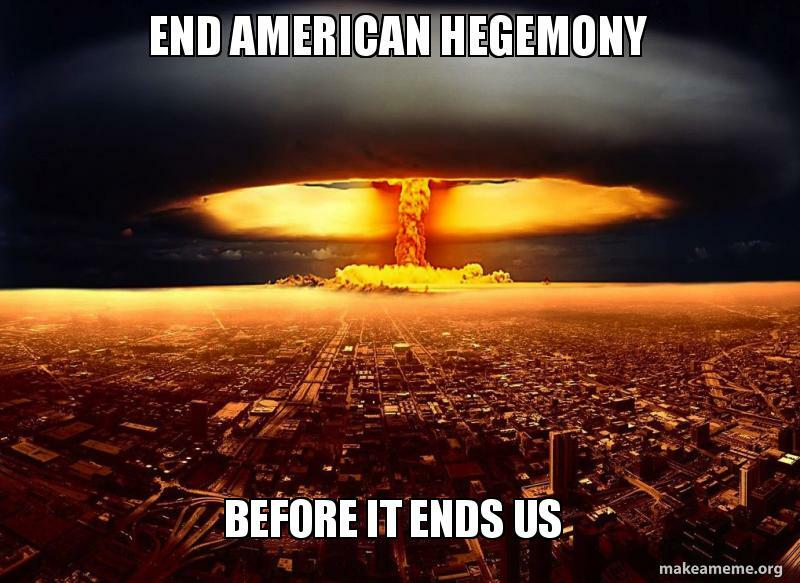 of the power of the idea of nuclear weapons and the resulting nuclear war. threaten the West, usually when they needed help for famines, which in true Stalinist fashion they spent inordinate amounts of time denying. and he discovers that under his dads rule the family dominated the regimes politics. they tried to develop them and the delivery systems for them. all those inner circle family members responsible for the big Lie. He increased the development and testing of missiles, and he tested out new forms of dry propellants and explosives on his family using anti aircraft guns to execute them. fight that is stand in for China and Russia. This US policy “North Korea Policy: Failure is the Only Option ” however, stems from several unique circumstances. By all indications, the North Koreans plan to keep their nuclear weapons and are not open to bargaining them away. Acquiring nuclear weapons was perhaps the only major accomplishment of the late “Dear Leader” Kim Jong-il (father of current leader Kim Jong-un), under whom the country suffered severe economic austerity. Pyongyang seems to believe that entering the nuclear club will bring military security and transform relations with the United States. Pyongyang’s ability to defy the much more powerful United States is a consequence of the North Koreans holding Seoul hostage. 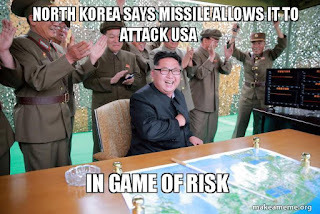 The South Korean capital is within range of a massive collection of North Korean artillery and rocket batteries poised to rain down destruction in retaliation for any possible military action by the United States or South Korea. Finally, a rapprochement with North Korea may well be simply impossible no matter what America says or does, because Pyongyang sees peace as a mortal danger to the regime. Analysis: Are we seeing the Madman Theory in action? North Korea has drawn the ire of United Nations member states because it initially joined the Non-Proliferations Treaty but broke its obligations with nuclear weapons testing before withdrawing entirely in 2003. 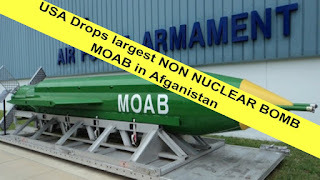 Other nations believed to have nuclear weapons – including India, Pakistan and Israel – never accepted the treaty at all. Prof Siracusa said much of what Kim Jong-un has done on the global stage, like his father and grandfather before him, has been to bolster their own position in North Korean society. "I don't think Shakespeare would have any trouble with North Korea, because it is a hereditary communist rule," he said. "One family has run the place since the late 1940s. They see these weapons as something that prevents other people from approaching them. "In other words, these weapons are not only designed to hold off the larger powers but also to show their own people that there is some fear here. "They have become an organising principle in North Korean politics." An attack on the manufacturing process will most likely result in defective components that fail even in ground testing. We would likely never know about this, except to wonder why the ground test phase is taking so long. Interestingly, North Korea’s KN-08 ICBM was first seen in mock-up form in 2012, but there was not a single successful ground test until last year. That may not be the result of a cyberattack, but it is at least what a cyberattack would look like. It would be preferable if the failures occurred in flight, and ideally late in flight, leaving the defective hardware out of reach of North Korean investigators. But this cannot be accomplished reliably—defects subtle enough to survive ground testing would cause some missiles to fail but leave others to complete their mission successfully. And, with properly realistic testing, some failures will still occur on the ground, leaving the North Korean engineers to connect the failed parts with the machines that built them. Such an attack can delay North Korea’s acquisition of advanced ballistic missiles, but will not prevent it in the long run. This is literally rocket science. It is the epitome of a hard problem. And it becomes even harder when political pressure demands more than the hardware can yet deliver, then tries to wash away the embarrassment of failure by demanding an immediate retest without allowing time to investigate the original failure. 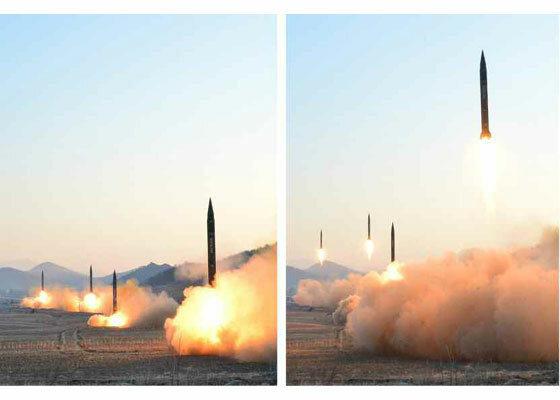 We didn’t need cyberattacks to cause North Korea’s Musudan missile to fail in seven out of eight tests last year, and we don’t need cyberattacks for two conspicuous failures this year. Kim Jong Un will happily deliver those failures for us, just like we did for ourselves with Vanguard and Atlas and Titan, by imagining successful rocket tests can be conjured out of political dictates rather than tedious engineering. The young Kim’s father was generally more patient about this sort of thing. A Paradigm Shift in North Korea’s Ballistic Missile Development?In Kim Jong Un’s 2017 New Year’s speech, he announced that North Korea is in the final stage of preparations to test launch an inter-continental ballistic missile (ICBM). Since then, North Korean media has repeatedly threatened that the launch will occur at a time and place of the North Korean leader’s choosing. 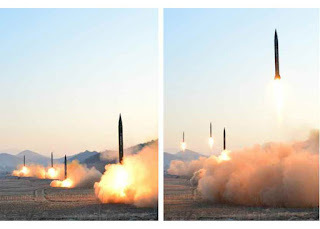 On February 12, following multiple failures of the Musudan intermediate-range ballistic missile (IRBM), North Korea conducted a test launch of a new type of IRBM, the “Pukguksong-2.” Although not quite a mobile ICBM, this test suggests that Pyongyang has made greater-than-expected progress toward the test launch of a solid-fuel ICBM. North Korea also unveiled what appears to be its new solid propellant ICBM, presumed to be the Pukguksong-3, enclosed in a canister in the massive military parade on April 15. 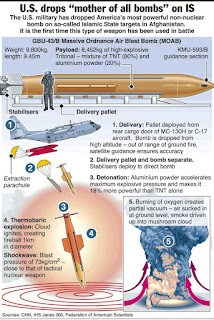 Limitations of the Musudan MissileThroughout 2016, North Korea test launched Musudan missiles employing high-energy liquid propellants eight times, with only one successful attempt. These tests used a lofted, high-angle trajectory, presumably to reduce the range of the missiles and avoid any escalated tensions that might occur from flying over Japan. However, from an operational perspective, a lofted launch can also make the reentry vehicle (RV) descend more quickly during the terminal phase, allowing missile defenses less time to intercept them. It seems that these consecutive test failures exposed the limitations of its engine, which was developed by reverse engineering the Russian R-27 submarine-launched ballistic missile (SLBM). The one successful flight test of the Musudan, conducted in June 2016, was likely aimed at simulating the velocity and environment of ICBM reentry by reaching a higher peak altitude of more than 1,400 km with a decreased range of 400 km. The third reason North Korea’s nuclear strategy receives scant scholarly attention is that many analysts assume that non-military goals drive its nuclear decision making. Some argue that its program is primarily aimed at garnering international prestige or rallying domestic support around a leadership with few other claims of success.6 Others see financial motivations; a North Korea bent on trading its technologies to countries like Iran and Syria.7 Still others believe that its nuclear program is a bargaining chip or blackmailing tool to gain diplomatic concessions.8 Such motivations do not lend themselves easily to rational-actor-based strategic analyses that explore connections between means and ends.9 Yet, it would be a mistake to assume that North Korea’s nuclear program is not guided by strategic logic. Its leaders must certainly weigh the costs and benefits of its nuclear investments and actions over time, given their resource limitations and the security risks they run by driving up military tensions. 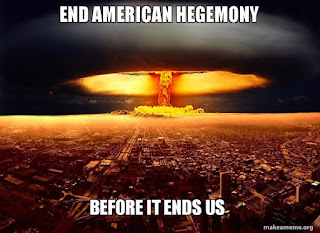 Its in everybody interests to play the game of saying North Korea has nukes, they say it for prestige, self defense, (the US never attacks a state with WMD) and to mobilize the masses as a militarized forces. crisis slow down. They claim Kim Jung Un is a madman like their other old go to threat Qaddafi, but he is gone now, like Idi Amin before him. 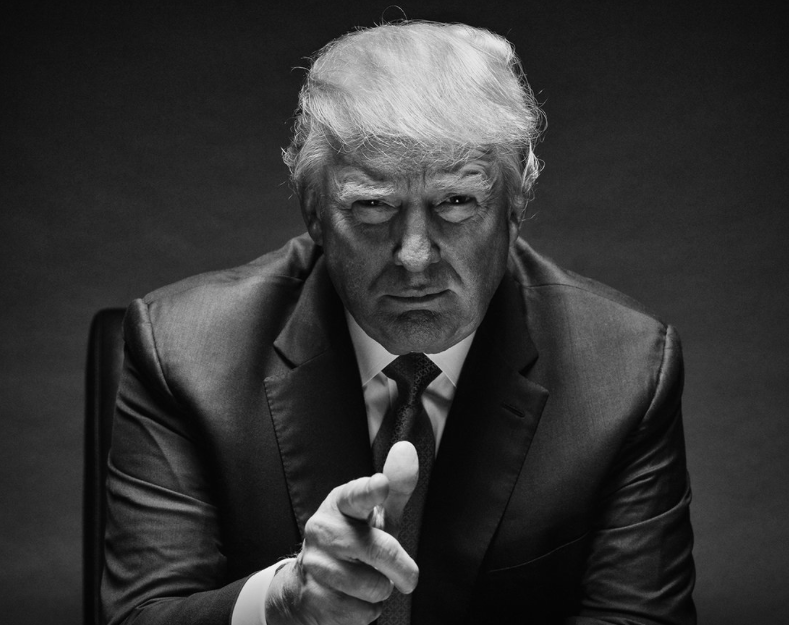 Currently there is no difference between the Madman in the White House and those he accuses of being mad men. China uses North Korea as a southern bulwark against the US. 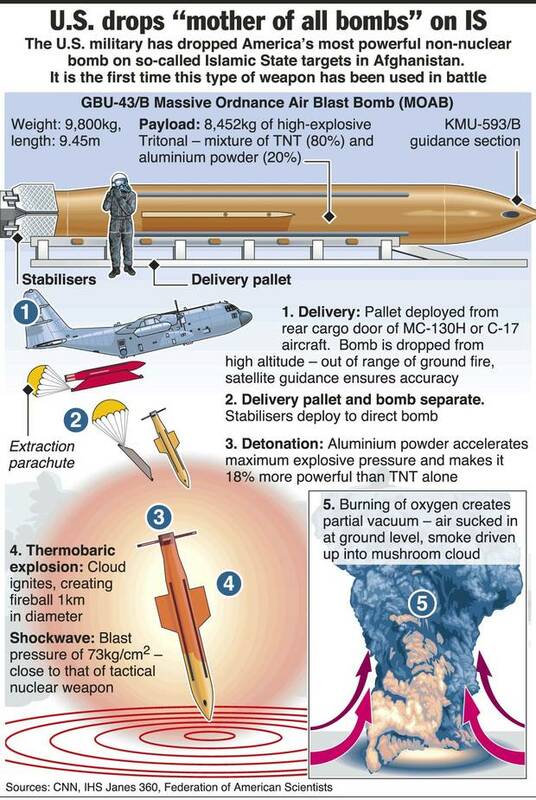 Japan suspects that North Korea has no nukes, but it is reachable by missiles assault using standard explosives or ultra high explosives like MOAB. So whenever the US saber rattles, its Japan that get the shakes.